Powerpunk version of Bunny. this is my powerpunk version of bunny ,Bruise. Wallpaper and background images in the パワーパフガールズ club tagged: powerpuff powerpuff girls. eeek i felt bad for bunny. idiot ppg made bunny sad! link but now bunny will be happy with ppnkg! i read her personality of how they made her in deja view and she was going to be cuter than bubbles but she would curse alot. 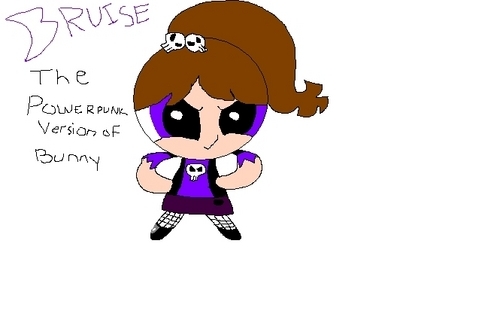 that is one of the reasons why they made her a fanmade powerpunk girl.